2007 NWSS Grand Champion Bull & 2006 NWSS Champion Bull Calf. 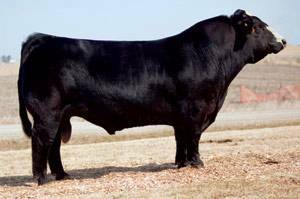 His dam is one of the great cows in the breed. Burning Up’s first calves are some of the best JS Simmentals has ever had. They are thick and fancy!